still obsessed with those oscars + some randoms. A week or so ago, this sweet couple nominated me for a Liebster Award. And then these two lovely girls did, too. At first, I was shocked because let's just say this girl over here rarely won awards/trophies/ribbons growing up. The only ribbons I remember receiving were from Sunday School when I was 8 or 9 after memorizing a bunch of Bible verses. 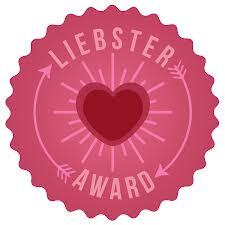 I was also surprised because I didn't know what a Liebster Award was. Let alone what it meant. I honestly had no idea what the word Liebster meant (here's a great post if you're confused like I was). If you're not familiar, when you receive a Liebster, the first thing you do is post 11 random facts about yourself. Then, you answer the questions your nominator asked and nominate other up and coming blogs (with <200 followers) and ask them 11 questions of your own. But to make this shorter, I'm going to write this post in three installations. First, the facts. Tomorrow, the answers. And then Thursday, I'll nominate and ask 11 questions to some of my fave bloggers who *I don't think* have won a Liebster yet. 1. I love to organize--kitchens, desks, rooms, whatever. Just give me my iPod and I'm good to go. 3. I'm afraid of birds flying over my head. 4. I love crime shows--especially Hawaii Five-0 and Bones. 5. My sisters and I still swap clothes (I refuse to call them hand-me-downs). 6. I love 60 degree weather with sunshine and a crisp breeze. 7. I also love interior design and looking at different houses. Maybe that's why I like IKEA (and their showrooms) so much? 8. I don't eat salad dressing with my salad. 10. I love the color grey. 11. I've never been stung by a bee and yet I'm still afraid of their little stingers. So yeah. I looked back on those random facts and if you've been reading for awhile now, you probably knew every single one of those things. Gray is one of my favorite colors, too! It's so fresh and crisp! You like interior design, I like interior renovating! I'd love to have a fix-it house someday! Yes, grey is definitely fresh and crisp! I've been dying to paint my room grey and I'm thinking it's definitely going to happen this summer (if not sooner!). A fix-it upper would be so much fun! I'd love to do that too someday! And I love that we both love organization! Whaaaaat- no salad dressing? I hardly ever eat packaged stuff, but I am obsessed with making my own- I doubt I could eat a salad without any dressing. Everyone should swap clothes with their sister. I have lost a bunch of weight and I can finally steal some items of my sisters clothing- I love it! It doubles your wardrobe. I know, people always look at me funny when I ask for salad dressing on the side (i.e. at restaurants). But homemade definitely sounds good--I'll have to try it someday! i am not a fan of birds either! and 60 degrees and sunny sounds wonderful! Oh, I am SO glad I'm not the only one! Birds and I are just not best friends. And yep, I'm a lefty! It definitely makes for some interesting looks when it came to PE and sitting in those right-handed desks growing up. I like to say that it's a sign of ability to adapt. Which I still don't do too well, but it was great practice for me nonetheless! And hooray for another lefty! I always love finding fellow lefties! And that's so cool that you lived in South Korea--how long for?